Yesterday we received some drawings from a buyer who is going to buy the aluminum cnc machined parts. The material is Alu7075-T6. However the drawings we received are not clear enough, then our team communicated with the buyer, we are very positive to discuss the details and the importance to receive the more detailed drawings, finally they buyer sent us the below email to us. Sometimes some buyers complaint that they have the bad experience with some Chinese suppliers, not only the quality but also the service and attitude for business. So today, we would like to share how to maintain a positive attitude in the business. Look for the positive side. It is easy to focus on the negative when there is so much negative news around. However, look for the positive side and focus on this. Be aware of your thoughts. Focus on how you think about different situations. If you see a list of businesses closing down in your sector do you think that your business is also doomed or do you see it as an opportunity to find new customers and maybe even increase market share. Challenge any negative thoughts and turn them into positives. Present a positive attitude to others. Even if you are feeling down, make sure you present a positive attitude to everyone you deal with. This will help you feel more positive and make others feel positive too. Focus on what has gone well. Focus on what has gone well and what you have achieved. See things that have not gone so well as learning. Be careful who you associate with. Surround yourself with people who have a positive attitude and avoid those who are negative. Focus on improving the performance of your business. Focus on getting your business in the best shape to weather the downturn and to maximise your short-term and long-term business performance. Keep your business goals at the forefront of your mind. What are the goals for your business? Revisit them and make sure they are still relevant. Make sure all your current actions support your goals. 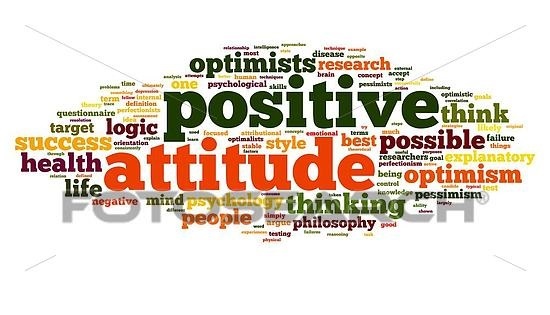 Why not try a positive attitude and see what difference it makes to you and your business. You will find that it not only maximises the performance of your business, but it will also have a positive impact on other areas of your life. Worthy Hardware is a CNC manufacturing and sheet metal fabrication company, including CNC machining services, CNC milling services, CNC turning services, laser cutting services and stamping services. Call us +86-76989919645 or email us info@worthyhardware.com for more discounts for your projects. © 2017 Worthy Hardware. All Rights Reserved.